The doublet is a man's upper body garment that was worn in Europe between the fourteenth and seventeenth centuries. In this time frame, it moved from undergarment to outer garment and from specialized military dress to fashionable civilian dress. The doublet's function as standard everyday attire was primarily to support men's hose, while providing warmth and shaping a man's upper torso. It was used to display appropriate decorative and stylistic features through each period, such as padding, paning (panes or narrow strips of fabric sewn over a contrasting lining), and slashing (pattern of deliberate cuts made in garments as a decorative feature), and it was one of the first garments to display highly technical construction and sophisticated cutting and tailoring skills after the Middle Ages. The doublet originated in the late thirteenth and early fourteenth century as part of military dress, closely related to technological advancements in armor. By the end of the thirteenth century, as chain mail was replaced by plate armor, a layer of padding was needed to protect the body from abrasion by the tightly fitted, sharp-edged metal plates. Quilted undergarments and leather tunics were long used by soldiers as protection and under chain mail, but the early doublet, called a pourpoint or gipon (also jupon; and in Italian, giubbetto, zuparello, or zuppone), was a closely fitted undergarment heavily padded in front over the chest and quilted around the back. Worn over a loose linen undershirt and short linen drawers, the pourpoint was sleeveless, had a round neckline, and was closed down the center of the front using laces or numerous buttons. The padding gave extra definition to the silhouette of the upper torso and shaped outer garments. Length varied, but the French term pourpoint also explains an important functional aspect of this garment. Translated as pour les points or "for the points," laces held up a man's hose by tying them to the doublet through pairs of hand-sewn eyelets in the tops of the hose and in corresponding eyelets along the doublet's lower edge. The leather laces were capped with small metal tags or "points" at each end, giving the defining name to this garment. After the mid-fourteenth century, the doublet was worn as a belted outer garment, serving a more fashionable function in civilian dress. Doublets were sleeveless or worn as a type of sleeved jacket, some with skirts extending over the upper thighs, shaped with a tightly tapered fit through the waistline. The points were attached to the inner lining and tied to the hose at the hips. Doublets became increasingly shorter through the second half of the fourteenth century, barely covering the hips, and many had full-length sleeves, ending below the wrist in a point over the knuckles and tightly fitted with a row of buttons from elbow to wrist. The narrow, two-part sleeves were seamed at the elbow and set into wide, round-shaped armholes for full arm movement. Low, rounded necklines had short standing collars. By the end of the fourteenth century, as an outer layer of dress, the term "doublet" replaced pourpoint or gipon in general English usage, while pourpoint continued in French. By the beginning of the fifteenth century, images show young knights in public without their armor, dressed in short, waist-length, padded and fitted doublets with full hose laced to their lower edges. This look eventually inspired a new body-dominant fashionable silhouette for civilian men. As the doublet shortened and more of a man's upper leg was exposed, construction of hose changed by joining two separate stockings into one garment that closed or overlapped in front with laces or a codpiece. The look of the doublet as outerwear also makes a visual reference to the dress of rural and urban laborers who often removed their outer tunics to work in underwear and hose. Images show laborers with their hose loosened and unfastened in back to relieve strain on the doublet when bending over to work. The need for this feature was a sign of low status. The expression "in zuppone" was equivalent to our contemporary reference about the informality of taking off one's business suit jacket and working in one's shirt sleeves. In the first half of the fifteenth century, the doublet remained a short, waist-length garment with sleeves worn over a linen undershirt and layered under a jacket or outer tunic-like garment. The sleeves and collars were often the only visible portions of the doublet. By mid-century, the silhouette was pared down, more slender and elegant, and the waist-length doublet was expertly constructed and tightly fitted with four seams-down the front, back, and sides. Collars were removed and necklines lowered and squared-off. The center front was often open or slightly unlaced, revealing the edges of the linen shirt underneath, a feature that became more prominent through the end of the fifteenth century. Doublets that showed no front openings may have been pulled on over the head. At the end of the fifteenth century, detachable sleeves appeared or tightly fitted sleeves were slit at the elbow and along the forearm to allow movement. 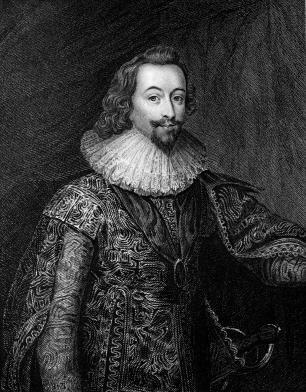 In the sixteenth century, the doublet was a major men's garment covering the upper torso from neck to waist. It was tightly fitted with low, U-or V-shaped necklines and wide sleeves, and was constructed with panes or slashing of heavy velvet or satin fabrics. Doublets were worn under the man's jerkin or gown, but no longer served the function of supporting a man's hose. Instead, breeches and stockings were sewn together; the top of a man's breeches was held up with silk or linen laces at the doublet waist. Some doublets were cut with short, gored skirts, or worn with the separate military skirt called bases. By mid-century, necklines were higher on the throat, and by century-end doublets had a stiff, standing collar to support the ruff. Doublet waistlines were lowered in front, and the elongated wool, bran, horsehair, or short, waste linen fibers, V-shaped waistline was padded and stuffed with wool, bran, horsehair, or short linen fibers by the end of the century, imitating the exaggerated style called a peascod belly. Layers of stiff linen canvas were stitched together to create the doublet front, and extra layers of stiffened linen strengthened the front button closure. Doublet waistlines were further accentuated with a row of small square flaps called pecadils. Doublet sleeves were padded with felted woolen cloth at the shoulders, and shoulder seams were constructed with a narrow wing or padded roll over the top. The padding and exaggerated features of the doublet were gradually abandoned in the first quarter of the seventeenth century, but the narrow-waisted silhouette remained. Through the 1630s, ribbon points tied into bows at the waist were used as a decorative feature. In the second quarter, the overlapping pecadils, or short peplum, lengthened to cover the hips, and waistlines were set slightly above the natural waistline. Heavy fabrics richly embellished with silk and metallic embroidery lend a stiff, formal silhouette to portraits in the early to mid-seventeenth century. By 1620, breeches were suspended from the doublet by large metal hooks sewn into their waist-band and attached to metal eyelets on a tape sewn into the doublet waist. By the early 1660s, doublets were straight, unfitted, and shortened to above the waist; breeches were no longer tied to the doublet at all. By 1670, the doublet had been replaced by the waistcoat and coat of the three-piece suit introduced by the British monarch Charles II. See also Breeches; Men's Hosiery. Byrde, Penelope. The Male Image: Men's Fashion in Britain, 1300-1970. London: B. T. Batsford Ltd., 1979.
de Marly, Diana. Fashion for Men: An Illustrated History. London: B. T. Batsford Ltd., 1985. Frick, Carole Collier. Dressing Renaissance Florence: Families, Fortunes, and Fine Clothing. Baltimore: John Hopkins University Press, 2002. Herald, Jacqueline. Renaissance Dress in Italy, 1400-1500. Edited by Aileen Ribeiro. Atlantic Highlands, N.J.: Humanities Press, 1981. Payne, Blanche, Geitel Winakor, and Jane Farrell-Beck. The History of Costume: From Ancient Mesopotamia through the Twentieth Century. 2nd ed. New York: HarperCollins Publishers, Inc. 1992. Waugh, Norah. The Cut of Men's Clothes: 1600-1900. New York: Routledge Theatre Arts Books, 1964.